Detailed Description: Carlon ENT Mud box in blue color is made of polycarbonate for enhanced strength and durability. Box comes with blank cover and 12 integral connectors. It measures 4 Inch x 4 Inch. 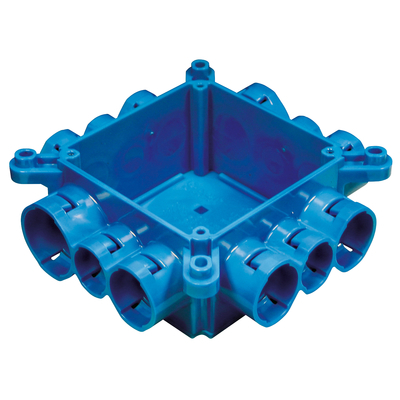 It is concrete tight and are designed to use in tunnel form applications. Mud box is UL listed. Catalog Description Non-metallic mud box with blank cover and 12 integral connectors.